Before we can treat your dog we require a Vet referral form to make sure that they don't have any pre-existing conditions that may exclude them from using the Underwater Treadmill. This is needed before the first session regardless of whether a casual session or a treatment plan with multiple sessions is booked. PetPlan (Allianz) is so far the only pet insurance company that covers complementary treatments such as hydrotherapy and physiotherapy. Please arrive 10 minutes before your appointment, you may park in the driveway or on the street. The Hydrotherapy building is at the rear of the premises and is accessed down the driveway via the carport. If the garage door is closed please ring me on 0477 011 448 and I will open it. You may walk your dog around the front or backyard but please clean up after them. If your dog is reactive to other dogs please inform me so I can prevent any interaction between patients. When starting out most dogs are in the water for a very short time (only a few minutes) - the length of time will increase as your dog's health/fitness improves. 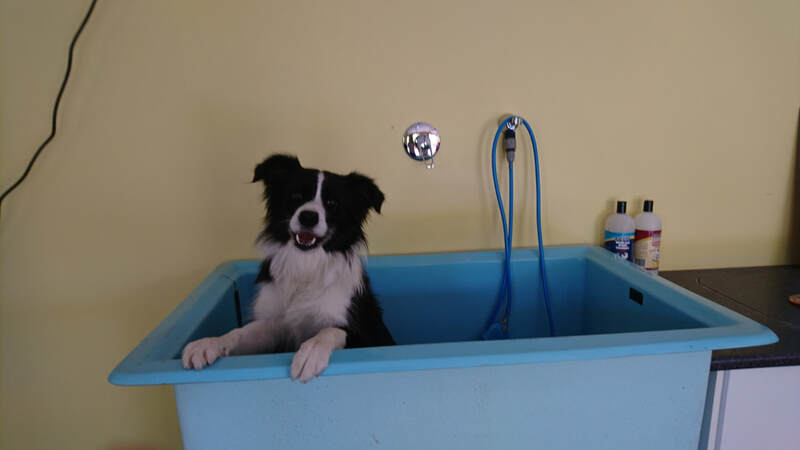 For the price of a wash and dry at the groomers you get a hydrotherapy session and a shampoo wash!